Whether you are ready to build your dream home, are looking to undertake high-end renovations, or want to fit-out a commercial premises, Holmes Architecture can help. Our team offers stylish and functional architectural design solutions for residential and commercial clients throughout New Zealand. The Holmes Architecture team bring an extra dimension to all projects with practical knowledge and expertise combined with innovative and imaginative architectural design. Holmes Architecture works with clients throughout New Zealand and our team can come to you or you can visit us in our Wellington office. Contact us to arrange your consultation today. 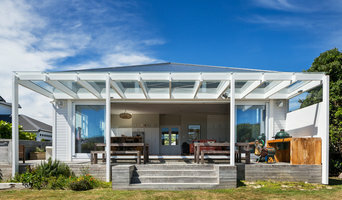 Wright & Gray: Architects Ltd.
New Zealanders love their houses, and we enjoy working with both home-owners and developers to realise their New Zealand dream. Directors John Wright and Travis Gray have over 40 years of residential design experience between them, and are also proud to own and to have worked extensively on their own homes. For most of us the challenge is to match our dream with the realities of what we can afford and what Council may allow. We offer a proven process that gets you good advice about costs and planning at the earliest stage, so that you can make well informed decisions about your property – all before you make a major investment. Enjoy browsing some of our many residential projects to the right, and please contact us if you would like to find out how we can help with your project. We believe you should live in the best version of your house. Your home should reflect your lifestyle and aspirations. Unit 7 can assist in making your house your dream home through practical, sensitive design and planning that is both elegant and pragmatic. We are a small, highly skilled, experienced and motivated team delivering exceptional efficiency and value for money. You can be assured that the work is done by registered architects and licensed building practitioners. Unit 7 have improved numerous tired old buildings and spaces, making them more relevant, more resilient and exceptional places to live. Space Craft Architects combines the work of Caroline Robertson (NZRab, BArch Hons) and Tim Gittos (BArch Hons) Together we bring experience in a mix of residential, commercial and public architecture in New Zealand and abroad. We create beautiful, affordable, architecture which springs from climatic and cultural context. Our work is going up on sites from the far north to the chilly south and dotted about in between. We were founded in 2003 by Richard Wright with the express purpose of providing architectural services that are focused on resilient design. The practice now has a portfolio of completed sustainable design projects of all types throughout New Zealand and the Pacific and uses its accumulated data and experience to deliver increasingly efficient low-impact buildings for clients who have a shared commitment to smarter, warmer, drier, healthier accommodation being part of their future. We continue to work with the most enlightened and proactive consultants, manufacturers, suppliers and contractors to bring the goals of net zero energy consumption and carbon neutral building nearer to reality with every new completed project. A New Zealand Institute of Architects award-winning practice with studios in Wellington, Christchurch, Auckland and Tauranga. Our rich portfolio of residential projects includes a focus on beach houses, from luxury homes to baches and artist studios. We understand that your home is your major asset, but also that it means so much more than that to you. It’s the place where friends gather and family visit. It's where the rituals of everyday life are played out. For all sorts of reasons you may be looking to realise more value from the property you already own - through adding another home, a work studio, or a guest house or by converting a building to residential. Click Architects love helping people do this in ways that are respectful to their neighbourhood and that give them the home they want - whether making a new home for themselves, or allowing them to stay in the one they love. I’m a great believer in in fill housing - in increasing the living density of our cities. We’ve all seen depressing developments with little privacy, but with care and attention new places have the potential to make positive contributions to our existing neighbourhoods. The design challenges that go along with this are what really inspire me in my work – how to bring together the aesthetic, technical, topographic and pragmatic aspects to create a great outcome. FOUNDATION architecture + interiors studio is an emerging practice focussing on generating architecture with a client focussed and project specific approach. We seek to deliver excellance by producing work firmly grounded with conceptual clarity, technical and environmental craft and professional service. Established in 2007 by Arindam Sen and Sam Martin, FOUNDATION develops each project within a collaborative studio environment - a framework which includes our clients, contractors, fabricators and consultants - a team whose cooperation is essential for successful project delivery. We provide the complete range of architectural services required to realize your project, and will tailor our services to meet your requirements, across all scales and budgets. As an emerging practice our experience comprises residential, commercial, hospitality, and urban projects. As the studio grows we intend to continue this practice, mixing consideration for all our private spaces with those of the public sphere. 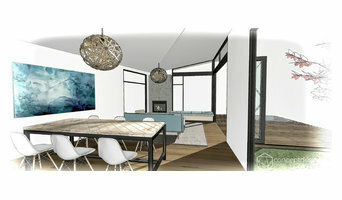 Established in 2011, Rêve Architecture Ltd is a young, design orientated Architecture firm based in Wellington. We are a friendly, enthusiastic and passionate practice that endeavours to provide innovative and creative solutions across a broad range of project types whether it be small home alterations, new homes and apartments, interior fit-outs or commercial new builds. Our goal is to contribute positively to the built environment by designing spaces that are practical, attractive, and ultimately transformative. Working together, our role is to interpret your needs by exploring ideas and following lines of inquisition to realise a finished product that satisfies both your objectives and our values. Architectural projects can involve numerous parties and we believe a successful project is based on honesty, integrity and enjoyment of all involved. We are mindful of the impact buildings have on the environment and are informed on sustainable principles of design. 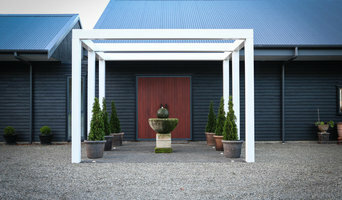 Rêve Architecture Ltd is a practice member of the New Zealand Institute of Architects. WireDog Architecture focuses on architecture at a human scale; architecture of exceptional spaces, designed with consideration to recognise your needs and the needs of your world. Established in 2013, WireDog Architecture aims to respond to your world with a thoughtful approach to architecture and how the demands of your life determines how the space you live in evolves. Cosgrove Goodwin Architects Ltd is an architectural practice based in Wellington, New Zealand. Formed in 2001 by registered Architects Ged Cosgrove and Lance Goodwin. The practice offers a collaborative environment developing your projects aspirations within the constants of your brief, budget and site. Our architecture endeavors to exceed clients expectations and optimise its contextual place in its environment. Where the building, its neighbours and end users naturally harmonise with and enhance the built fabric. If your renovation is more than a simple benchtop replacement or roof re-tiling job, then it may be time to find an architect in Porirua, Wellington who can manage your project from start to finish. Depending on the architecture firm you hire, the scope can span from planning sustainable design into your renovations, to selecting furniture and even interior finishes. An architect is often the first person you hire for your project. 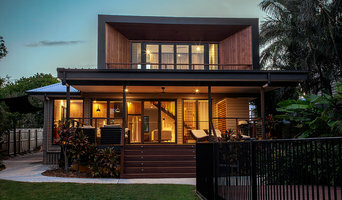 Before taking steps to find an architect in Porirua, Wellington, ask yourself what you want to achieve from your renovation or home construction. Do you want to improve the liveability and sustainability of your home, or simply expand? What style of architecture do you prefer? Once you have established your motivation, research architects that have completed similar house designs in your Porirua locale and within a comparable budget to yours. 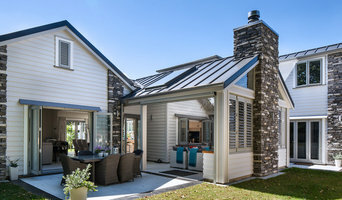 Ideally, your Porirua, Wellington architect will be involved in all phases of the design process, from the initial concept to the completed construction. Your architect may be needed to select and hire Wellington subcontractors (e.g. builders, engineers and landscape architects) just as they may need to negotiate contracts with stakeholders. A good client-architect relationship will ensure they are your biggest advocate along the way during construction. Find residential architects on Houzz. To find the best Porirua, Wellington architect for your home design project, narrow your search to find professionals in Porirua, Wellington. Then browse their latest projects and read reviews. You can also look through photos of projects to find an interior architect or designer who has worked on a project similar to yours.